There really is no better way to spend a day out on the Caribbean Sea, than enjoying the Three Tank Dive Safari. Embark on a journey with fellow divers to dive the far reaches of Grand Cayman's Coral Reefs and Walls. You will visit 3 unique dive sites that many divers never get to see, in just a single day. 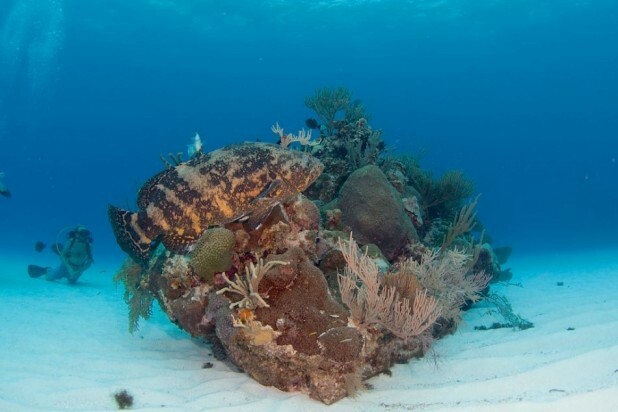 This specialty trip will explore Grand Cayman's the Far-North Wall, Old Man Bay and Northside dive zones or South to Bodden Town and Beach Bay, including secret unmarked dive sites. This trip is a dedicated computer diving only boat and profiles with 60 minute bottom times. Nitrox strongly recommended. Does NOT include a stingray dive. All day boat trip, 3 dives, crew/guides, towel, drinking water, lead weights, belt, air tanks. Transportation to and from your hotel to the boat departure point is not included. If you are not staying in the East End District you will need to rent a car or get a taxi. Additional Scuba Equipment is not included and may be rented: BCD, Regulators, Instruments, Dive Computer, Mask, Fins, Wetsuit, Nitrox tanks. Open Water Certification or higher is required to participate in this activity. If you are certified and have not dived in the last 24 months you will be required to take a Refresher Course or Orientation Dive prior to this trip for an additional fee.